If there are any questions regarding track building for the RPG TitlePack you can post in this thread. Of course you are also free to open a completely new thread, but it's better to have these questions collected here. I might be blind, but I'm not able to find the trees you used in the macroblock tutorial in the editor.. Anyone know if it is possible to change the controls of the editor? My problem is that I play with my laptop, with no part of the calculator keyboard and keys that are not the default editor, how can I do to know what are the keys? The titlepack is awesome but i have a small issue with a number of the blocks...(f4 3,3,all). The icons are showing bush and plant images but when i try to put them into the track they are showing as mangled metal parts? Have installed the Titlepack through Maniaplanet link and have also tried the download and both methods have the same problem... don't get why they are not working. Thanks in advance....as to the keyboard thing....click on the info button on the titlepack mainpage...it tells you the editor keys and from what i can see of your keyboard, you have all the keys you need. 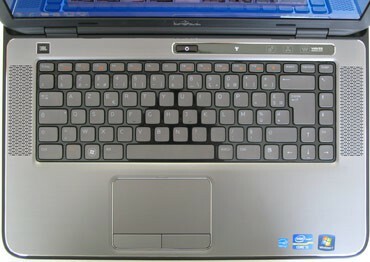 Thx HawkGer but, this page not help me, searching for dell forums, i found that some dell notebooks do not have the key LockNum, the only solution I found was to use the onscreen keyboard windows. I have don't have either the num key or a delete button on my pc. I have requested being able to change keybindings for the editor, although AFAIK that's still not possible. Last edited by eie on 03.12.2013, 21:31, edited 1 time in total. You could connect a normal keyboard to your Mac notebook and use that one for numpad input. I have a number of Mods from TM1 installed and working on TM2 (btw i couldn't get access to TM2 Mods page, it comes up with "forbidden you do not have access..so on. dead page basically) have tried a few of them but the image is the same...is there a special texture that you need for the plant bits? is it missing from TM1 Mods? weaveworld wrote: Thanks for the quick reply. What mods? Cause you need to recreate the textures to a point and yes like you I am having trouble with the plants. LoL....weaveworld is an idiot...didn't realise there was an easy way to install a mod...thanks again. Downloading the "Default Mod v1". One last silly Question...do you need the Titlepack to Play the maps with the new blocks or does everything that you need get downloaded as the map loads? Yes, you need to have the titlepack installed and you have to be inside the titlepack to play the maps. Objects can't be downloaded automatically, they are always bound to a titlepack. Is there a way to disable grid snap? Another question, can you pop up through the bottom of any of the objects in the titlepack like with dirt blocks in the air or is this also not possible? whenever I convert a music for TM2 I get this really ugly noise in the background (or however it is called). It happens to any music and sound for me and it didnt happen in TM1. Any one who knows how to get rid of it?